The man died after jumping from the 24th floor of the Revere Hotel, 200 Stuart St., shortly after 3 p.m. this afternoon. 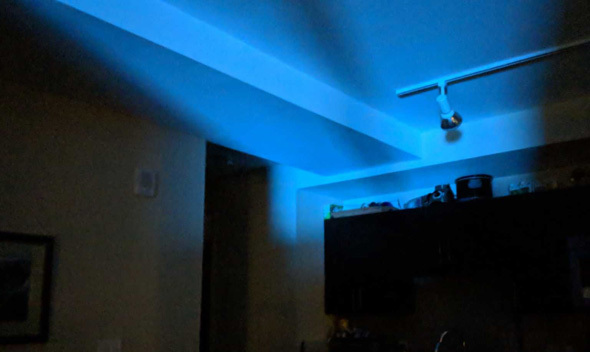 Police had been notified, but he jumped before they could reach him. Do you feel suicidal, lonely, or depressed? Call or text the Samaritans Helpline, staffed 24/7: (877) 870-4673. Or visit the Samaritans Web site. Fitchburg's own Michael Brodeur is bringing his music project New Dad to Boston and it's going to be a real hoot! You know Brodeur from his work at such local publications as DigBoston, Boston Phoenix, and currently, the Boston Globe. 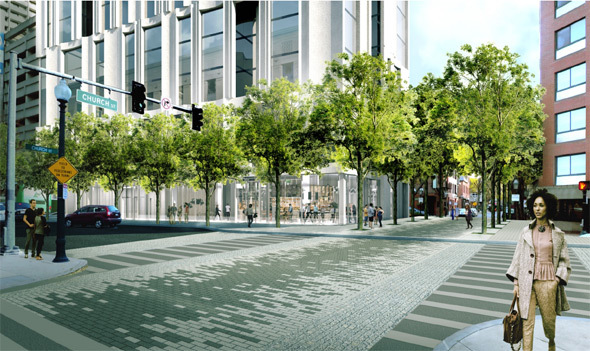 The owners of the Motor Mart Garage in Park Square - once the largest auto garage in the world, with a helipad on top - have filed their formal plans for sticking a 20-story residential tower atop it. Read more. NBC Boston reports somebody drove into Showroom Collezione, 240 Stuart St., around 2:25 a.m. The owner of the Motor Mart garage in Park Square will be seeking city permission to add 17 stories of residential units to the structure. Read more. 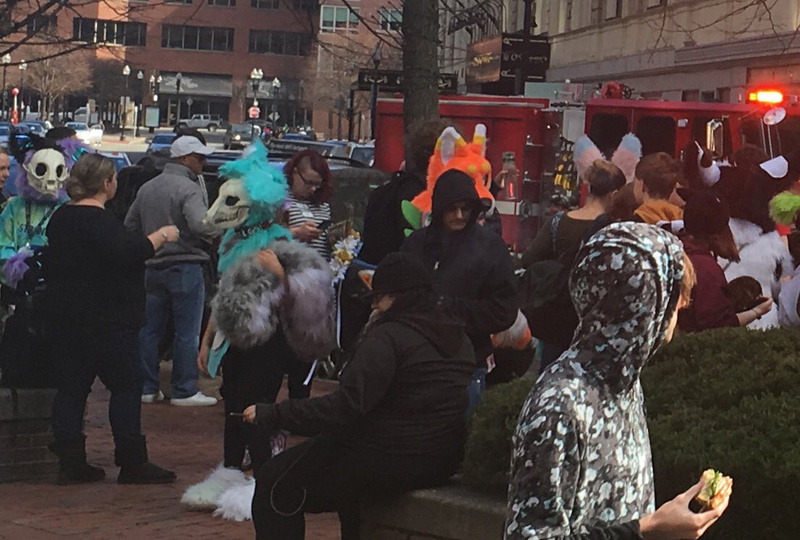 CarCarll captured the scene outside the Park Plaza around 11:30 a.m., when fire alarms went off, forcing the evacuation of guests and attendees at the annual Anthro New England furry convention. A non-viable trolley near Arlington is causing "moderate" delays on the Green Line, the MBTA reports. 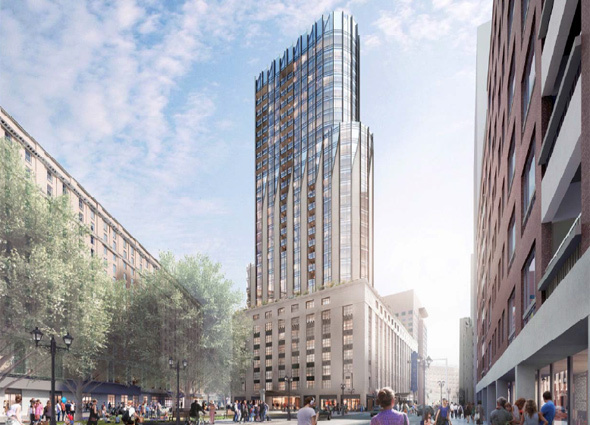 The Boston Sun reports the Board of Appeal this week approved a 19-story, 131-unit residential building on what is now a Stuart Street parking lot. Candidates for the District 2 (South Boston, South End, Chinatown, Downtown, Bay Village) seat now held by Bill Linehan get a chance to explain why they should succeed him at a forum Wednesday evening. Read more. In the arm and upper back, possibly in the area of Cortes Street around 11:45 p.m., Friday. Injuries not considered life threatening. Police did not initially find the victim, but instead found a long blood trail that took them into the South End. The City Council today approved a request to the state legislature to let Boston create "sub-precincts" in certain crowded districts in Bay Village, Chinatown, Roxbury, Downtown, South Boston and the South End. Read more. As expected, Edward Flynn, son of the former mayor, is taking steps to run for the District 2 City Council seat that Bill Linehan is giving up. Read more. The New York Post reports David Barton Gym's corporate overlords shut their Park Plaza outlet along with gyms in New York, because the finances just weren't working out. A small parking lot next to a large parking garage on Stuart Street could be replaced by a 131-unit residential building, under plans filed with the BPDA this week. Developers Peter Spellios, Neal Howard and Bryan Lee hope to succeed where two previous - and smaller - proposals, in 2006 and 2008, failed at 212 Stuart St. Read more.